Nintendo will reportedly introduce a miniature plug-and-play Super NES later this year. According to a report from Eurogamer, development on such a device has already begun. 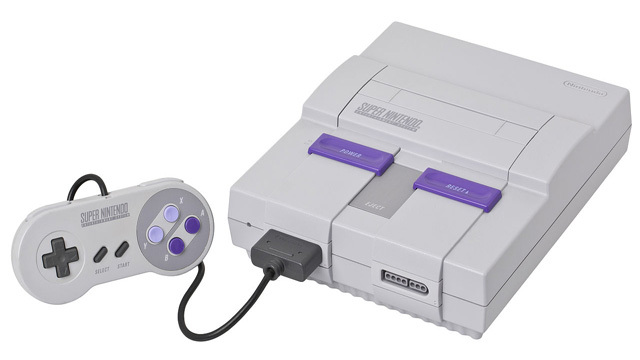 This mini Super NES, likely under the Classic Edition moniker, would once again implement the same set-up as last year’s NES Classic Edition, from the simple set-up to 30 built-in games. Like the NES Classic, software emulation would likely fall once again to Nintendo’s N.E.R.D. division, who’s emulation was praised on the previous system. Eurogamer’s sources indicate that the existence of the Super NES Classic is a major reason behind the NES Classic’s sudden demise last week. Nintendo alleged that the NES Classic was never intended to be a long-term product, and yet the device was impossible to find in stores from the word “go”. One can hope the rumored plug-and-play follow-up would avoid repeating those dramatic shortages.